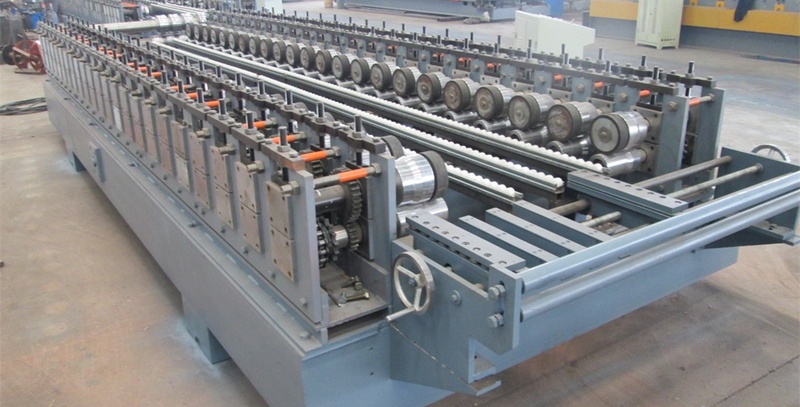 A Cold Roll Forming Line, also named cold roll forming machine. Which is consist of Uncoiler, Roll Forming Mill, Cutoff Unit, Controlled Box, etc. Among of them, the roll forming mill is the most important part. And of which a duplex mill is full used in the various width roll forming machine. Additional guides required between the roll stands, especially at the entry and exit. While form short and narrow sheet, a proper guilder is required. And normally, the shortest profile’s length should not less than the length of the 2 roll stands. This will ensure the product is engaged in at least in 2 stands and easy to come out from the mill. Limitation of the distance between 2 roll stands, will make the installation and adjustment of the side rolls be difficult. The duplex roll forming mill should have more limit switches to determine the narrowest and widest product. Believe Industry Company is engaged in design and manufacturer roll forming machines as per requirements. We adopt Copra software to design the machine and our experienced designer can solve the most issues meet. Contact us for more information of Roll Forming Machine.